Thorough washing of glasses is essential for good head retention and ensuring drink taste is not tainted by debris build up on the glass surface. This manual brush glasswasher is a great, cost-effective option for ensuing glasses are fully washed and/or rinsed before use. 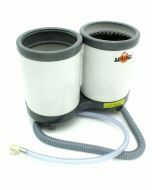 The suction base feet mean that it can easily be installed inside a sink within your bar area. Operators can then lightly scrub a glass by inserting it upside down and the brushes will gently remove any built-up debris from the glass surface, both inside and outside. It is a fantastic addition for coffee shops and restaurants that are serving food or thick drinks in glassware, such as Frappuccino’s, milkshakes and smoothies as it ensures that debris is removed from the glass in a safe manner, preventing items from entering an electric cabinet machine and blocking drain pumps, filters etc. The manual 3 brush glasswasher is most commonly used as a pre-wash step before glasses are washed in a traditional electric glasswasher or as a cooling step, after glasses have been removed. 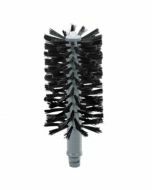 This genuine Spulboy product is made from high quality plastic with nylon brushes, to provide gentle yet effective washing. 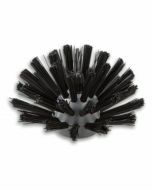 Brush sizes included are 2x 18CM (for glass outer and rim) and 1x 25CM for inside the glass. 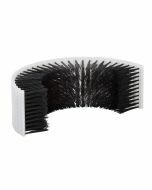 Brushes are interchangable and replaceable with a wide range of accessories and spares are available for all our Spulboy products. 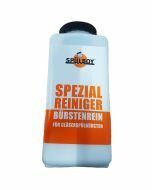 The Spulboy commercial glass washer has proved a success across Europe for over 30 years. 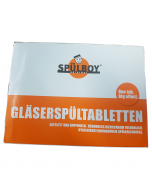 Portable, economical and effective, the Spulboy glasswashing system removes lipstick and grease easily. 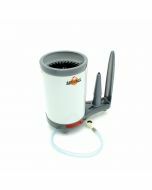 Perfect for use as a back up, or for additional washing capacity during exceptionally busy periods, or even for use at outside catering. The units work from water pressure, with no need for electricity. Non aggressive glasswash tablets & cleansing agents sterilise the glasses.